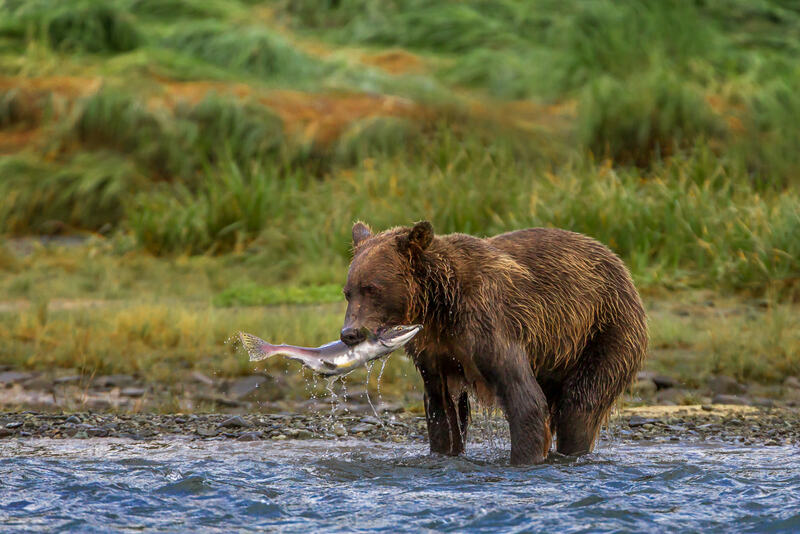 The salmon the bears catch in Katmai are not that small. I think this particular fish could have been dinner for three or four of us humans. It took this bear less than a minute to eat it before it headed back to the river for more.